There was a time in the not so distant past when you had to open several applications just to accomplish a simple task. We’ve all been through it, the labyrinthine maze of multi-tasking with different software to come up with a single result. All the work, time, and resources – a gargantuan undertaking – to produce something seemingly not worth the effort you poured into it but you had to maybe because it’s part of your work or a project that had to be finished. Well, gone are the days when you had a collection of various software CD installers, with all those giga-sized applications filling your machine’s disk drive and slowing its performance. If there was a race between your PC and a turtle, the latter would win hands down. Happily for all of us, the situation is different today. Technology has outpaced the turtle and cloud is king. Web-based applications powered by cloud technology have provided us lighter, faster and more powerful platforms. No more messy set ups, tricky installations, and time-consuming updates. In addition, new-generation platforms, applications and systems, paved the way for an integrated computing environment. You can now use other applications within the application you’re using. What that translates to is more efficiency and productivity, and reduced cost. It’s a convenient and seamless computing landscape that has been embraced by companies and organizations that need to use various applications for their IT portfolio and diverse organizational and business processes. In the 1990s a couple of integration trends emerge – first was the point-to-point and message queuing integration which supported more real-time needs, and second were software applications that bundled together many functions. The latter introduced tightly integrated applications which gave birth to a new category of business process management software called enterprise resource planning (ERP). By 2000, a new integration technology – the enterprise service bus (ESB) – was developed. It introduced a centralized topology and provided more tools to manage integrations such as dealing with early Internet-oriented integration protocols like the Simple Object Access Protocol (SOAP) which allowed programs that run on disparate operating systems (ex. Windows and Linux) to communicate using HTTP and XML. The year also saw software vendors offer dedicated cloud only services and solutions that can be availed on a subscription basis. As web and cloud-based platforms entered into the mainstream, another integration tool appeared – the application program interface (API). Being the building blocks of software applications, APIs specify how software components should react, enabling loosely-paired applications to work together. This opened opportunities for businesses to build and adopt specialized apps that work within their own infrastructure or system (ex. Google API, Amazon API). Integration or the ability to work smoothly and synchronously with other software, systems and services is now a key feature in most cloud platforms. It offers unheard of before extensibility and flexibility of operation. Pipedrive is no different. However, it is differentiated by its extensive integration. 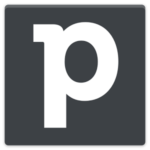 Pipedrive is a popular, multi-awarded CRM platform designed to help businesses manage customer relations, leads, and sales processes. Vital to its functions is the ability to work with other CRM platforms, email services, sales and marketing software, client information and database management tools, communication apps, file sharing services, project management solutions, and other productivity and business applications. Currently, Pipedrive integrates with over a hundred software, systems and services as of 2019. It goes well beyond its CRM functions to work with third-party systems right within the Pipedrive platform, bringing you a powerful, all-in-one integrated toolbox. So whether you’re looking for increased automation, enhanced reporting (check out how Pipedrive sales reporting can move your business forward) or want Pipedrive to work with other software you’re already using, there’s bound to be an integration or add-on that meets your needs. 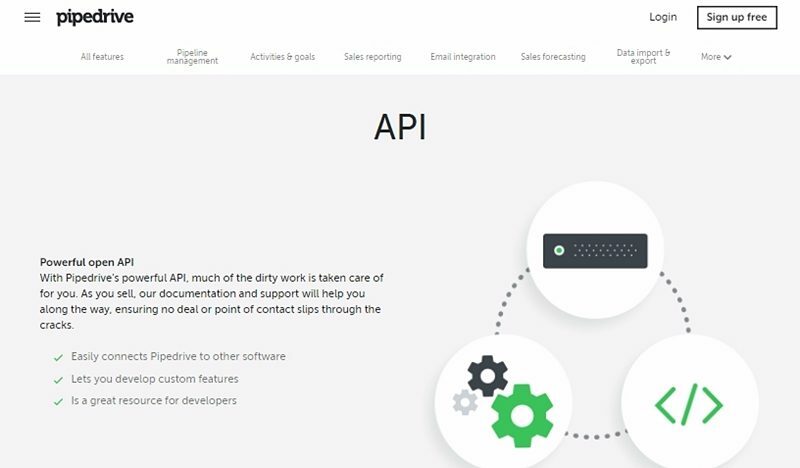 On a related front, Pipedrive’s API allows you to easily connect with other software. With the Zapier add-on you can quickly sync data between your web apps and readily import contacts from other software. With its REST API, you can develop custom features for free to further customize your Pipedrive experience. Conveniently pull call lists and make them appear in your call center software, or even create new deals based on someone who fills out a form on your website. The opportunities are endless, and with a massive range of integrations available, the way you use the platform is only limited by your imagination. What does Pipedrive integration mean for you? You can focus more on your sales activities and managing your sales team, and not be tied down by several systems because what you have in Pipedrive does it all. Integration is considered a driving force and growth factor for today’s businesses and organizations since it leverages existing technology, processes, people, and information to get a competitive advantage. Businesses without integrated software and systems miss out on reduced resource consumption and significant costs savings. Furthermore, a well-integrated system bridges the divide among multiple, diverse functions within an organization. Improved productivity. Employees can focus their time and efforts on more important tasks that can help grow their business instead of being bogged down chasing, duplicating or transferring data from one department to another. Enhanced data accessibility. In relation to the preceding, data accessibility becomes straightforward and uncomplicated for people in the organization. This brings about better and informed decisions for key people at different organizational levels, and leads to positive results for the business. Better communication. A well-integrated system improves connectivity and streamlines communication among personnel from different departments and operations. It does away with bottlenecks and barriers in sharing more information and promotes open and easy communication. Fosters collaboration. An employee survey found that three out of 4 employees rate teamwork and collaboration as very important, while another survey of 753 business professionals revealed that 83% of them depend on technology to collaborate. Integration harnesses technology to allow the sharing, accessing, sending, importing of files and documents. Some platforms even integrate with communication/conferencing tools to enable real-time collaboration. Integration capabilities have in part given rise to remote staff, work-at-home employees, and outsource personnel. Business growth. Integrated software systems can remedy one of the problems faced by a rapidly growing company – a complex system and application landscape. With integration in place, challenges can be dealt with and changes can be effected with few simple clicks instead of opening multiple systems. The above benefits attest to the importance of a well-integrated system that can help drive every business to succeed in today’s ultra-competitive environment. More than just making two or more systems work together, the compatibility factor pushes businesses to be at the top of their game. After all, it is now so easy to keep things organized, to have everyone connected, to retrieve data, to collaborate and communicate, and to innovate. What Does The Term CRM Stand For?